This first one has been around making clothes for over ten years, I just became aware of her wares while searching for a bathing suit top to hit the beach and maybe do some painting without the typical nasty sunburn on my shoulders and chest. I would usually wear layers but when it is hot who really wants to wear layers? I love that fun suits are now available in all sizes. 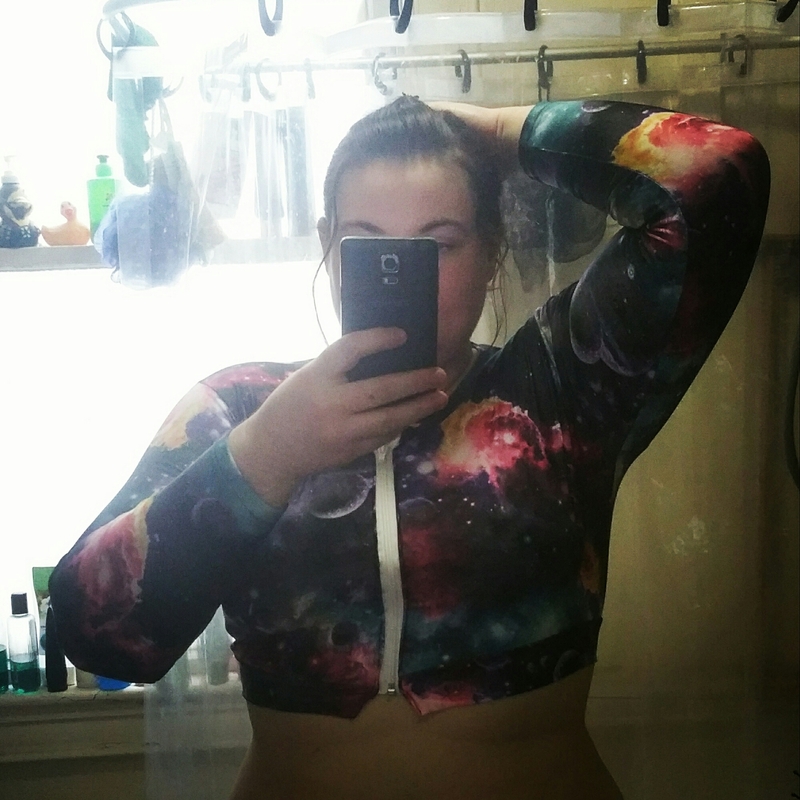 I knew exactly what I wanted: a long sleeved, full zippered bikini top preferably in a galaxy print. I searched high and low and could not find it for sale anywhere despite the vast selection of bikini tops online and in stores of all sizes I completely struck out. This is amazing. To custom make something like this only from a few short conversations is definitely an artist creation. An artist’s work can mean a lot of things, this is one of them. Thank you for sharing.